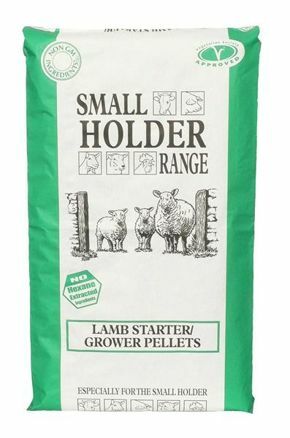 Smallholder Range Lamb Starter/Grower Pellets are ideal for lambs from 7 days. Start feeding from about seven days old. Offer small amounts of feed for them to pick at, as well as good quality hay. This can gradually be increased so that by the time they are weaned (usually at about three to four months) they are eating at least 0.4kg of concentrate feed a day. In late season when grazing is limited, Lamb Finisher can be fed at up to 1.0kg per head per day.